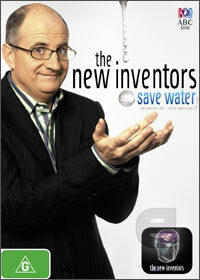 This compilation features some of the best water saving devices that have been showcased on the New Inventors, a brilliant Australian documentary/invention series which showcases the country’s finest creators and how their devices may benefit the world. The series is presented by the talented and comedic James O'Loghlin who although is the star of the series, really draws the viewer in. As Australia is suffering from a severe drought at present, this DVD features a select group of inventors who have attempted to assist the country with their water saving devices. Interestingly enough, some of these devices are quite useful and hopefully the inventors can get them patented and released in the wider community. Definitely a great Christmas present for dads and grand dads!